Egypt, under the able leadership of Pharaoh Necho, was determined to wage war against Assyria. The Egyptian army marched north-eastward, planning to attack the Assyrian army. King Josiah decided to oppose the advance of the Egyptians, despite the objections and warnings of the Prophet Jeremiah. The King of Egypt assured Josiah that he had no designs upon Judea’s independence, and requested free peaceful transit through the land. But the request was refused. In the plains of Meggido the two armies met and Judea’s troops were mercilessly crushed. King Josiah himself was wounded and brought back to Jerusalem. There he died, deeply mourned by the entire people. ISRAEL ARCHAEOLOGY – new website page. If you study ancient Bible lands more then likely you will become engaged with archaeology. Our new page includes recent articles (posts) from the Biblical Archaeology Society. You may be interested. Take a look. If we stay within the bounds of scripture there are limits to the number of Bible maps that can be created. So we have been looking for ways to enhance our existing maps and fortunately have found sources of information that encourage the use of their work. We are using the “overlay” technique (sometimes called pop-ups or modals) to present this added information. For instance, the image of the Gideon map shows a clickable link “The Judges” which will bring up an overlay with text and photos. We have added our first new map (The Tribal Allotments of Israel) to the re-designed iBible Maps website. This map features a pop-up window describing the tribal allotments and a new capability for adding "hot spots" to the map. These hot spots enable the linking of scripture and other information and are activated by hovering over them. We have just completed a total re-design of our Bible maps website. The new site is built in Wordpress and is fully mobile friendly. Each map invites interaction with the visitor. In the near term we will be finding ways to add more information to each map page of the website, and will be developing a few more maps. I BIBLE Maps added a cover video. The Vale of Jezreel (the ‘Valley of Israel’ – also known as the Plain of Esdraelon) was an important lowland corridor running from south east to north west, linking the Jordan Valley near Beth Sheanto the coastal plain north of Mount Carmel (near the modern city of Haifa). At the coastal end, this lowland routeway joined up with the Via Maris – the ‘Way of the Sea’ which ran along the coastal plain linking the ancient civilizations of Egypt and Mesopotamia. Near its junction with the coastal plain, the Vale of Jezreel was guarded and controlled by the well-defended fortress at Megiddo – Biblical ‘Armageddon’. 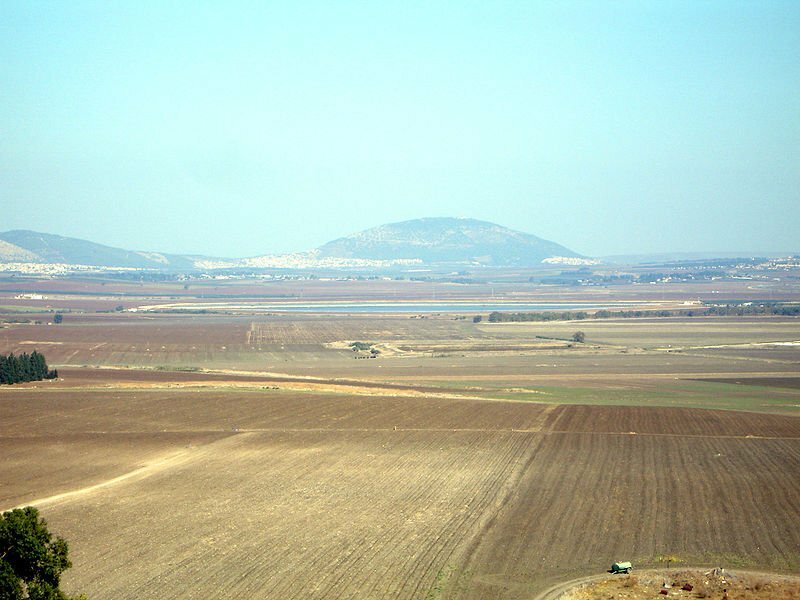 Because of its strategic position, the Jezreel Valley was the site of many battles. The earliest recorded confrontation pre-dates the Israelite invasion of Canaan. During the 15th century BC, the Egyptian pharaoh Thutmose III defeated a Canaanite coalition under the kings of Kedesh and Megiddo at the Battle of Megiddo, fought in the Valley of Jezreel. Over two hundred years later, in c.1208BC, Midianites and Amalekites crossed the River Jordan and headed north west along the Vale of Jezreel to plunder and ravage the lands along the fertile coastal plain. Calling together men from the tribes of Manasseh, Asher, Zebulun and Naphtali, Gideon defeated the Midianites on the valley floor just north of Mount Gilboa (see Judges 6:33-35 & 7:1-25). Gideon, himself, was born in the Vale of Jezreel at Ophrah – usually identified as the modern-day city of Afula (see Judges 6:11 & 24). Later, in 1011 BC, Saul – the first king of Israel – was killed by the Philistines at the Battle of Gilboa, overlooking the Vale of Jezreel, and his corpse was displayed on the walls of Beth Shean (see 1 Samuel 28:4, 29:1 & 31:1-10). Four hundred years later, in 610BC, King Josiah of Judah was killed at Megiddo by Pharoah Neco of Egypt, when Josiah tried to prevent the Egyptian king from crossing the Jezreel Valley en route to Assyria (see 2 Kings 23:29). After the high priest, Hilkiah, re-discovered the Book of the Law in the Temple in Jerusalem in the eighteenth year of Josiah’s reign (in 624BC), King Josiah called the elders of Judah together to renew their covenant with the LORD. All the articles associated with Baal and Asherah worship were removed from the Temple and burned in the Kidron Valley outside the city. 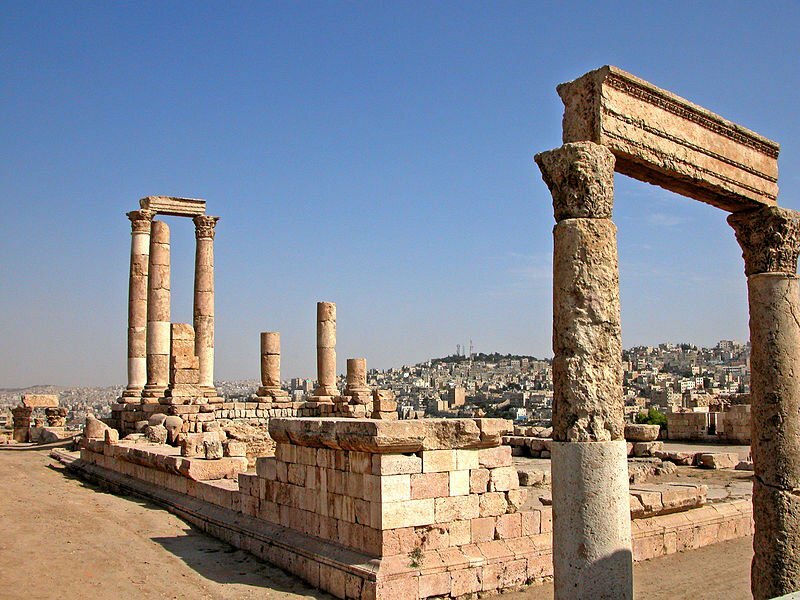 Josiah tore down the quarters of the male shrine-prostitutes and destroyed Topheth (‘the fireplace’) - the pagan worship site in the Valley of Hinnom (the ‘Valley of wickedness’) - where children were sacrificed to the god Molech. He removed the statues of the horses and chariots dedicated to the Egyptian Sun god Re at the entrance to the Temple in Jerusalem, and destroyed the altars to the pagan gods Ashtoreth, Chemosh and Molech on the Hill of Corruption (the Mount of Olives). The people of Jerusalem then celebrated the Passover festival for the first time in many generations and renewed their commitment to the LORD. We wish to give credit for the source material used in the iBible Maps website. Holman QuickSource Bible Atlas, Holman Bible Publishers, Nashville, TN.